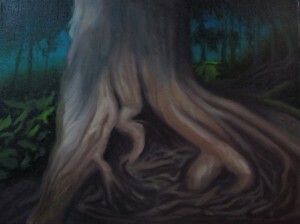 This is my second painting of the roots from the forest on our friends’ property in New Brunswick. I hope I captured the sense of magic that inhabits the space there. Paint is still wet on this one so the texture of the board shows up. I kinda like it so didn’t adjust the lighting. The plan is for ‘Herry’ the gull to reappear in a larger piece down the road. Fun little study. 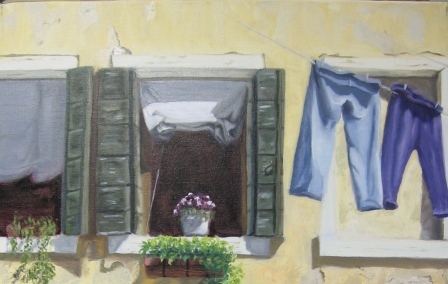 Rim Light Study. 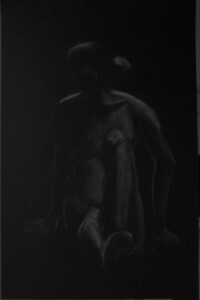 I love life drawing but rim light is especially beautiful. These days it is nice to be reminded that a little bit of light dispels a lot of darkness. A beautiful pose drawn in a single session at the end of the night. 20 minutes to capture her. No time for correction so no time for fussing. It is what it is.